When you’ve been hurt in a car, truck or motorcycle accident, it can be difficult to know what to do next. Your medical bills may be mounting, you may still be in tremendous pain, and you may even have lost wages if you are unable to work. We'll help you through the challenging process of filing a legal claim or lawsuit after an accident. With more than three thousand cases under our belts, we know what works when it comes to getting results for our clients. Our process begins with a free initial consultation, where we can evaluate the facts of your case and advise you on your rights and options. If you choose to hire our firm, we will begin with a thorough investigation, making sure that all responsible parties are included in the claim and that we can present the strongest possible case for compensation. We'll engage medical professionals to do a thorough evaluation of your injuries, documenting the full extent of the medical issues you are facing as a result of the accident. During your recovery, your bills and lost wages will climb. We take a full account of the damages so that the lawsuit represents completely all that you have lost from the accident. We utilize our extensive background in motor vehicle accident cases to aggressively litigate your case. We are committed to the rights of regular people who have been hurt by the negligence of others. The Ohio legislature has limited certain kinds of recovery. 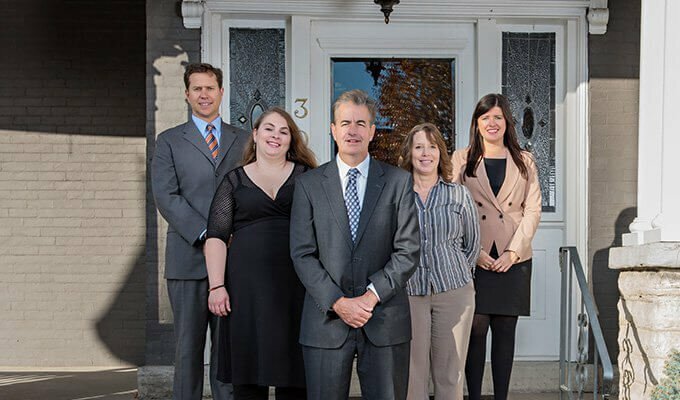 Our attorneys continuously monitor changes in the law and build strategies to make sure that you have the best possible options. As a law firm dedicated to helping victims of accidents recover, we have in-depth knowledge of the case law and statutes that govern personal injury cases. We understand how these cases work. Many personal injury cases can be resolved outside of the courtroom. If possible, we will negotiate a settlement on your behalf — but we will also be prepared to take your case to court to prove to a jury that you deserve compensation for your injuries.